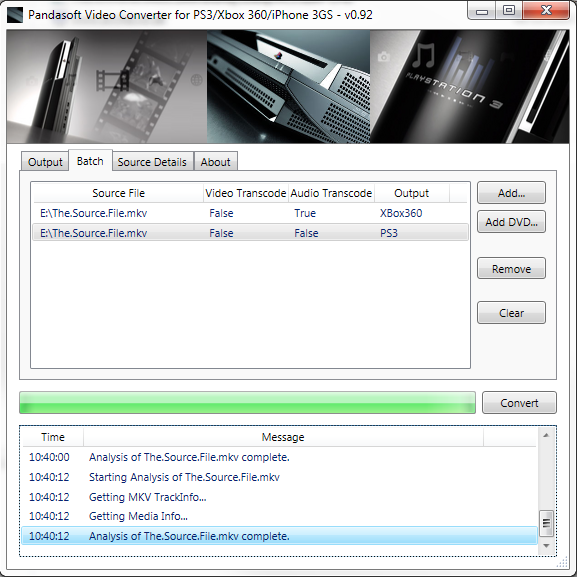 Pandasoft Video Converter is a free tool that converts a host of video file formats for use on the PS3, Xbox 360, and portable devices like the iPad and iPhone. It supports taking a MKV file and converting it to a MPG file, for easier playback and streaming to the PS3 (stream to the PS3 via software like TVersity and Twonky media). You can also take an un-encrypted DVD as input and convert to iPhone. For portable devices like the iPhone and iPad, Pandasoft Video Converter can also convert almost any video file into MP4 files, ready for use in iTunes.